The violence in Borno state is the latest bloody example of how the Islamist sect Boko Haram has unleashed chaos in northern Nigeria. The group – whose official Arabic name translates as “People Committed to the Propagation of the Prophet’s Teachings and Jihad” – says it is fighting to overthrow Nigeria’s government and establish an Islamic state. 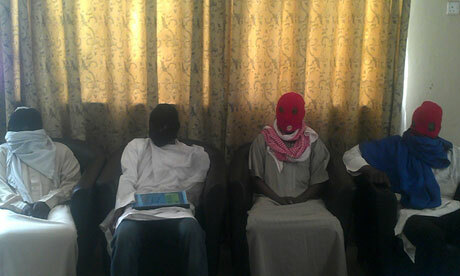 Dubbed Boko Haram or “western education is sinful” by locals for its rejection of European values, the sect was founded in the early 2000s by cleric Mohammed Yusuf and gained a steady following in the northern city of Maiduguri, preaching against secular values in a nation which is split between large Muslim and Christian populations. Yusuf, who was killed by Nigerian security forces in 2009, retained support by providing meals and economic schemes, including a youth empowerment programme and support for trading. He also arranged cheap marriages between sect members. The provision of economic and social support by Boko Haram has led some to ascribe the group’s growth to a failure of governance in Nigeria. The sect began using violence against government and police in 2003. Its first large attacks came in Bauchi and Maiduguri in July 2009, with more than 700 people killed in a five-day uprising. The death of Yusuf days later did little to stem the violence. Since then the group has become increasingly sophisticated in its operations. In 2010 it freed hundreds of prisoners from Bauchi jail, and then went on to launch bombings in Jos and New Year’s eve attacks in federal capital city Abuja. A sustained campaign of deadly church bombings has left hundreds dead, while attacks on telecommunications and infrastructure have caused millions worth of damage. Boko Haram is also believed to have advanced its operations in recent months by attracting funding and support from other terrorist groups such as al-Qaida in the Islamic Maghreb and al-Shabaab, and joining forces with militant groups waging war in northern Mali. Photo: Is Joke Silva Pregnant ?